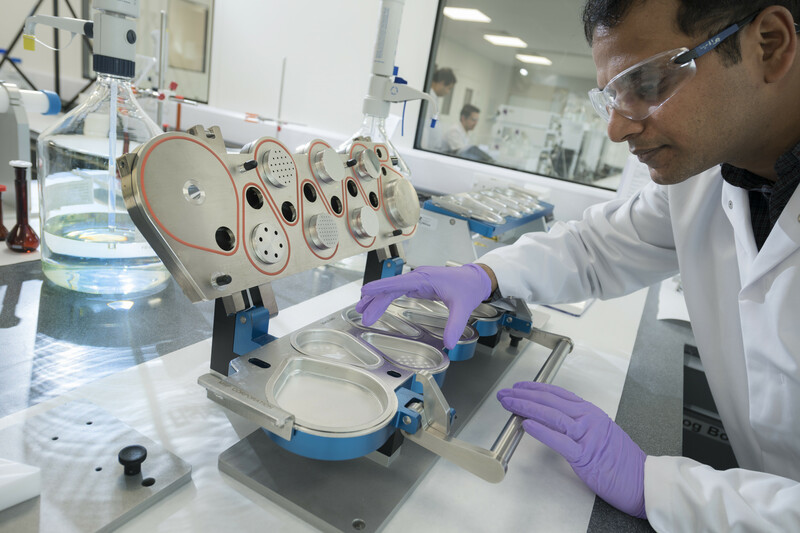 Our Inhalation Product Technology Centre now allows us to offer our customers the support they need in developing the correct MDI/DPI components to suit their new product developments. As well as being the leading manufacturer of respiratory drug delivery components, our IPTC can now work with our customer’s who are developing a new formulation, to identify the best MDI component selection- can, actuator and valve- to match our customers needs. Our IPTC will look at the valves and review metering volume, elastomers and engine design. They will also review the MDI can to be used, including can diameter, can size, substrate, and internal surface treatment. Finally the actuator design can also be analysed including jet length and orifice diameter, with the information being used by IPTC to recommend the best MDI components for our customer’s new formulation.